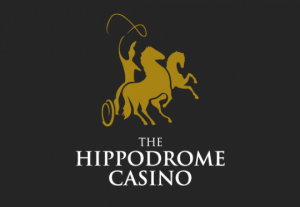 Hippodrome on-line casino is part of the same brand as the London based brick and mortar location. It was established in 2013 and is licensed by the Lotteries and gaming Authority of Malta and the UK Gambling Commission. and elegant interface tries to mimic the game atmosphere in London. The games at Hippodrome Casino are playable both in download version, flash player in the dedicated browser or mobile responsive mode. Both Mac and PC are valid for the two desktop versions, and Android, iOS and Windows operating systems for the smartphone and tablet devices. Apple, Android and Blackberry users have the option to download a dedicated app from their dedicated store. The availability on a multitude of devices is a strong point that many modern gamblers are asking from an on-line casino. Hippodrome is meeting with great success this demand, and many more, regarding the game selection, game categories and gaming quality. Microgaming selection includes more than 450 different titles. The games cover all the games you would normally find in a casino: slots, video poker, roulette, blackjack, baccarat, craps, casino table poker, pai gow, sic bo, red dog and instant win games. Slots fans can choose from the classic three reel slots, passing the fruit machines, and five reel video slots, slots tournaments, progressives. Mega Moolah, Major Millions, Fruit Fiesta, LotsALoot are just some of the famous slots variation games. Roulette is a popular choice that can be played in many variants: American, European, French, Multi Wheel, Multiplayer and others. The blackjack category implies more than 15 varieties of the game: Classic, Atlantic City, Vegas Strip, Vegas Downtown, European Blackjack, Double Exposure, Hi Lo 13. A simulation of the real casino experience is achieved with the live dealer games. Blackjack, baccarat, hold’em variations are available in real time streaming from a brick and mortar casino. The welcome bonus is split into the first three deposits. First deposit is 100% up to £250, second 25% up to £250 and the third 50% up to £500. The deposits have to be made in seven days upon registration. The bonus cash have to be wagered 50 times. In order to be granted with the bonus, you can deposit as little as £10. The residents of Belgium, France, Italy, Poland, Spain, Romania, Bulgaria, Greece, Turkey, Denmark, Iran, Israel, United States, North Korea, Puerto Rico and South Africa are not allowed to play the games in the casino for real money. Dedicated app were created for the iOS, Android and Blackberry devices. Also, the website is available in the mobile version, accessible from the dedicated web browser of your smartphone or tablet. Deposit and withdrawal can be made with Visa, MasterCard, Switch Card, Solo Card, Neteller, Click2Pay, Skrill and Ukash. Withdrawals are processed in 48 hours, which is the standard time for the industry. The accepted currencies are Pound and Euro, but if you deposit from an account in a different currency, they will be converted. A 24/7 customer support is available to all the players, both for desktop and mobile versions, via live chat, phone or e-mail.